Our Congregational Life Committee recently introduced a new three-month program called “Table for Six” to allow adult church members to gather over a three-month period to get to know other a little better. 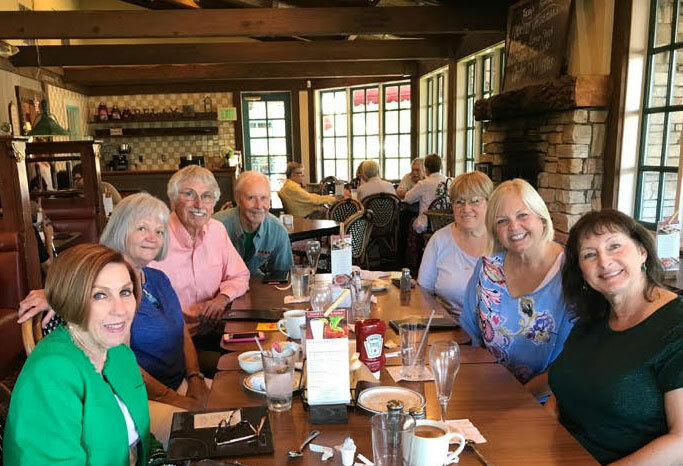 One group recently met for lunch at Mimi's cafe. Here's how it works: for each of the three months (currently June through August), all those who sign up to participate will be divided into groups of six (or seven, or whatever works). Then a couple or individual will be assigned to plan the location (at a local restaurant or in-home) and then will notify their other Table for Six members of the date/time/location.